As a now family of four, space is tight in our new two bedroom condo. Storage is at a premium, which means we're pulling out all of the stops to fit the belongings of two adults, a toddler and an infant into 700(ish) square feet. 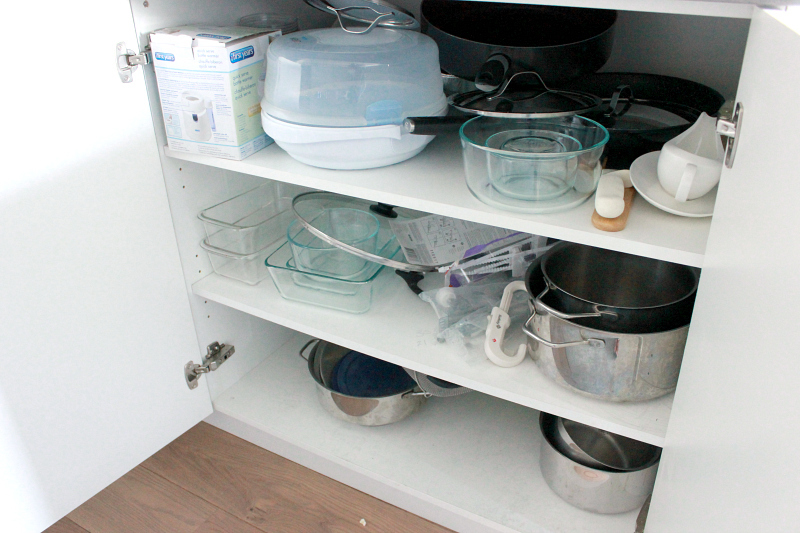 Where there’s room for additional storage, we’ve found it - every nook, cranny and crevice. It’s a full on storage war. This includes the kitchen space. Specifically, the kitchen island cupboards. Since moving in to our new space in May, our island cupboards have been the place where kitchen utensils, appliances, pots, pans, etc. go to die. Oh the things you can find - from the normal pots and pans, to things we probably don’t need and will never use but are saving “just in case”. For example, there’s a sushi bazooka in there. Seriously. It’s still in the box. If you don't believe me, see the "before" for yourself. A mess, am I right? While the amount of space in the island is generous, it’s not maximized to its full potential. The problem with these lower cabinets is that they are too deep. Stuff gets pushed to the back and forgotten, much like that sushi bazooka we just had to have. 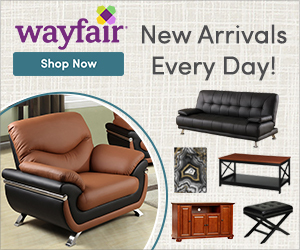 Without getting lost in there myself, the easiest way to reach these items is to have them come to us. 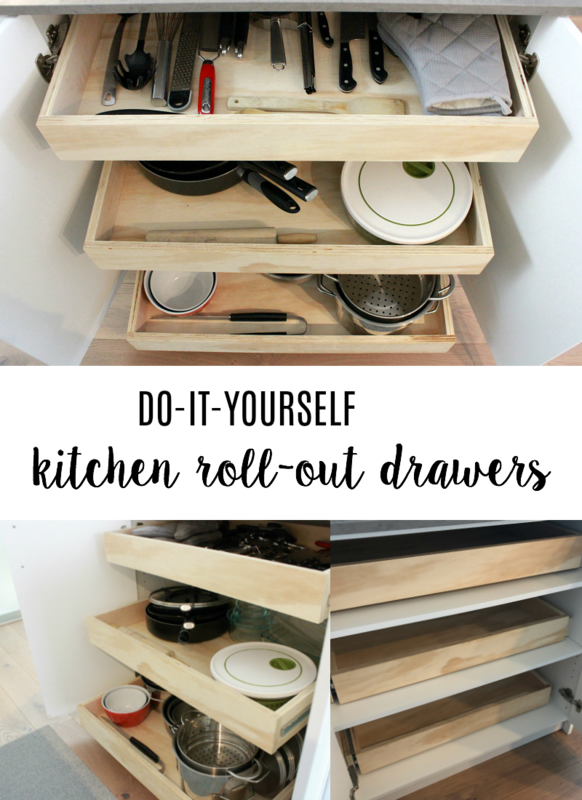 Enter custom DIY roll-out drawers. Yes, I said custom do-it-yourself. Sure, you can have someone do the work for you. 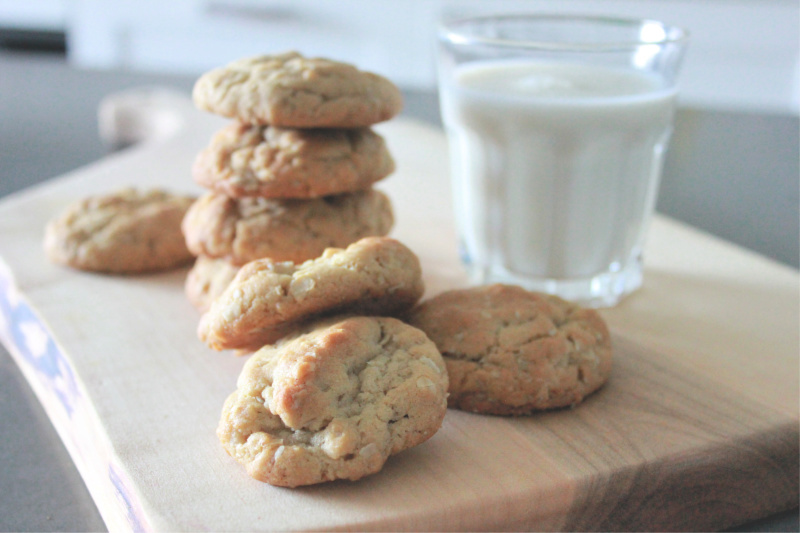 But, after an estimate came back at just over $1,600 (and a mom - aka me - that nearly lost her cookies because of it), we decided to look elsewhere. Sure, you can buy pre-made drawers. But, they’re expensive and, well, pre-made - no surprise that our cupboards do not fit the usual specs. So, a custom DIY build it was. My husband was gung-ho from the very beginning. And after some thorough research, and one handy father-in-law, he knew he could tackle it. 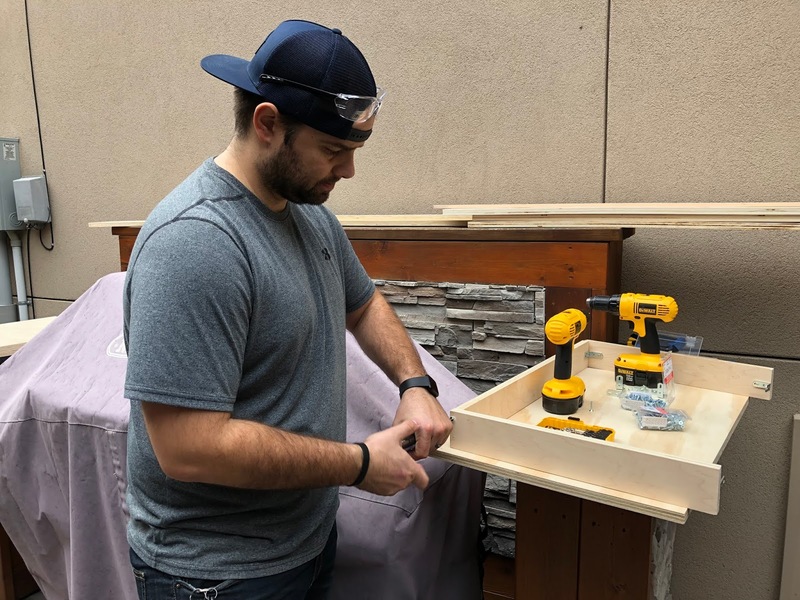 We turned to the Home Depot Canada for all of the supplies we needed - most importantly the wood, sliders, Kreg jig and screws. Living in a small space, the number and size of tools we can have is limited to the necessities (much to my husband’s disappointment), so we also took full advantage of the Home Depot’s lumber cutting service and had all of the pieces we needed cut to size before we left the store. Lets just say, the project was a learning experience. If you asked my husband, he wouldn't say it was difficult (in fact, he's already planning his next project), but he would say it took a bit of trial and error and some creativity. Some things didn't go according to plan, and some improvising was required. But, once the first drawer was installed, we were rolling (no pun intended). After a bit of back and forth, we ended up leaving the existing shelving in place and putting the drawers on top. Not only did this add some extra support, but it also helped to ensure the drawers were level during installation. Not only do the roll-outs allow us to take adventure of the depth of the cupboards, they also make use of the height of the island. We took full advantage of the vertical space, putting the bottom and middle drawers at heights so that pots, pans, dishes, etc. could be stacked. 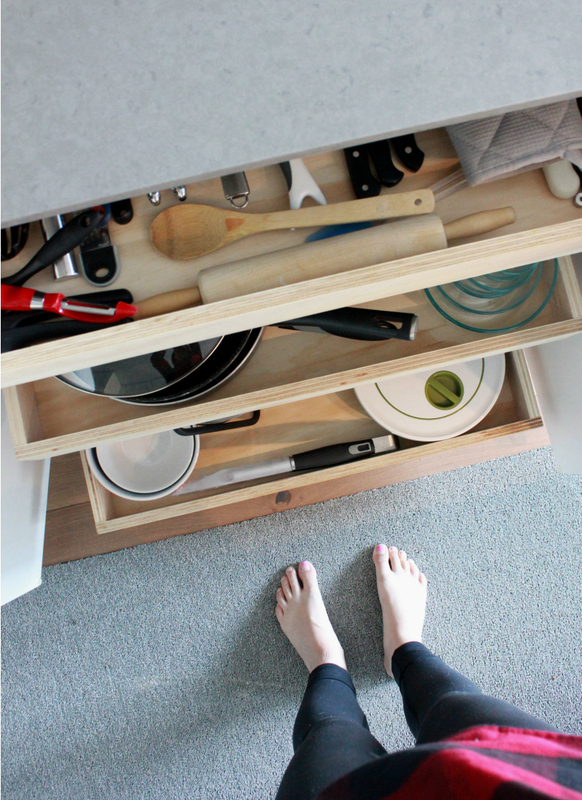 Wanting to remove the clutter from the counter, we made the top drawer more shallow to store our utensils and knives. Eventually we may put some dividers in the top drawer to separate utensils, but that’s a project for a difference time. 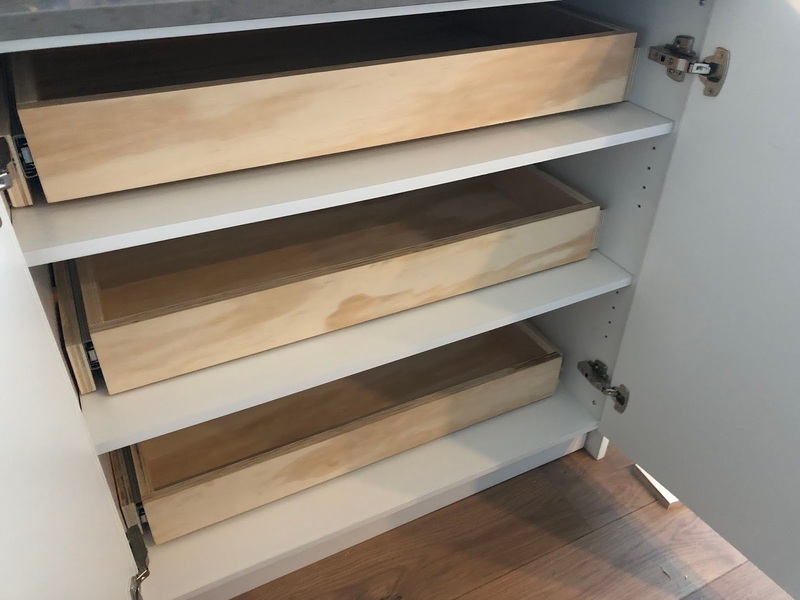 Since the drawers are hidden behind cupboard doors, we also didn’t paint them, and instead left them the natural wood colour (we invested in a higher quality plywood for this purpose). Painting is also another project for another time. 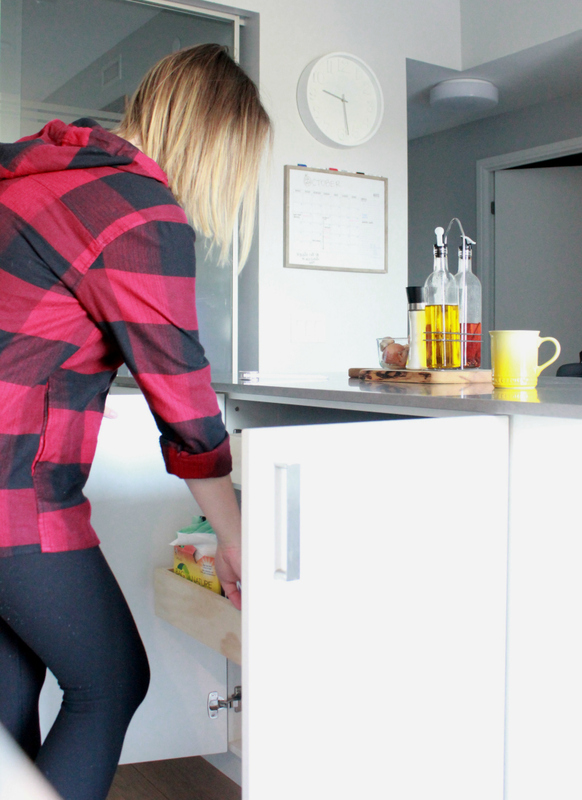 We’re so happy with how the drawers turned out, and how organized our island cupboards now look. Everything has a place, and everything is easy to find. It’s amazing how much a small change makes a big difference. 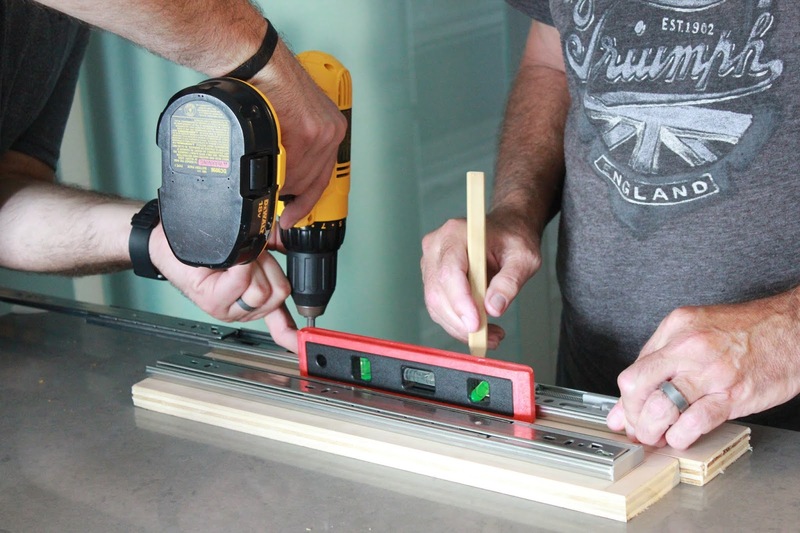 Have you tackled any home DIY projects lately? I'd love to hear! 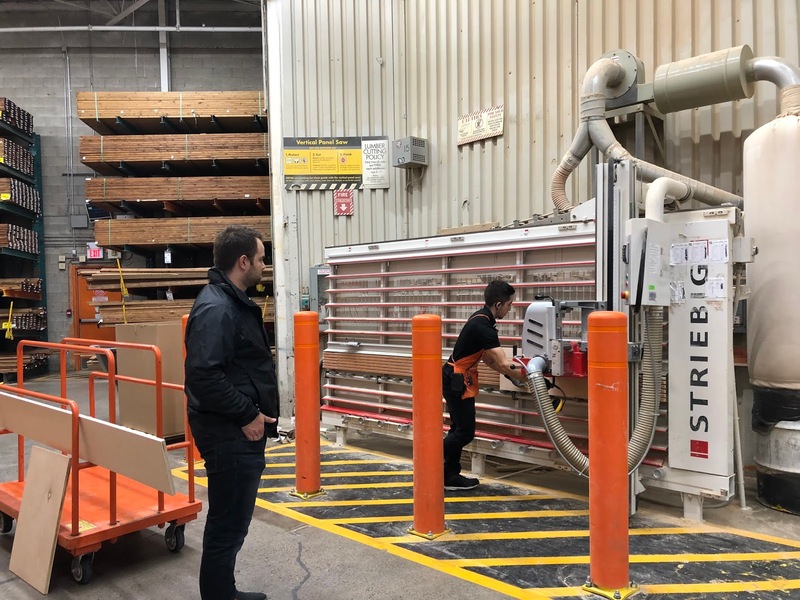 Disclosure: This post is in partnership with the Home Depot Canada. However, all opinions are 100% that of To & Fro. Thank you Home Depot! When you think of a place that makes your heart happy, what comes to mind? For me, it’s Ontario’s Blue Coast. Earlier this fall, we had the chance to explore my old stomping grounds - Ontario Southwest’s Sarnia Lambton. Better known as, Ontario’s Blue Coast. 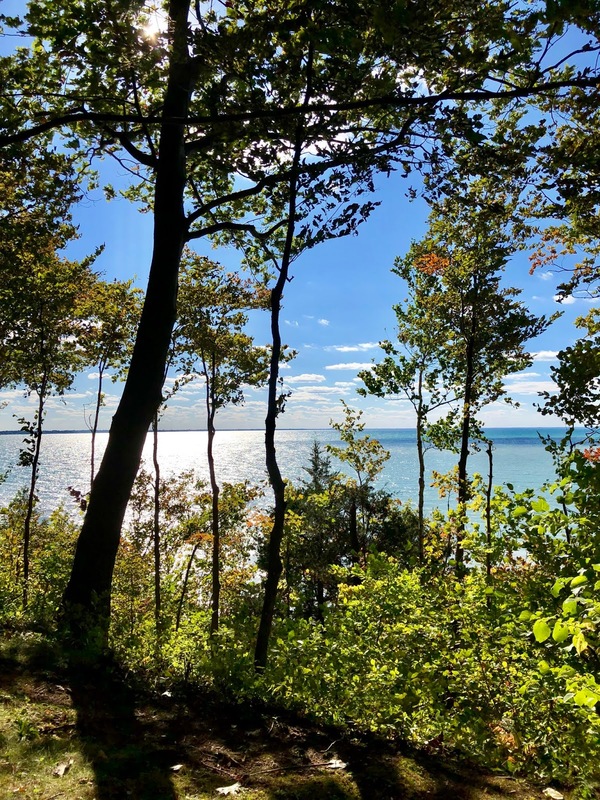 Located a short 2 1/2 hours southwest of Toronto and 1 hour north of Detroit, Lambton County is the perfect day or weekend getaway - from arts and culture, to the stunning Lake Huron beaches and everything in between, there are many ways to experience the Blue Coast. And one of the best times of the year to explore is the fall. 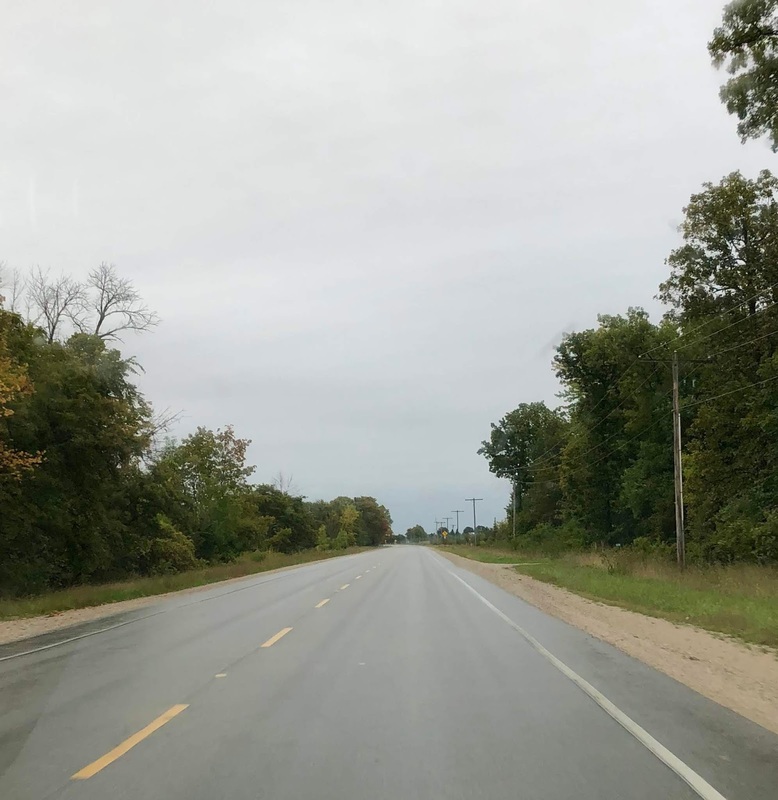 With the vast array of scenic drives, fall fairs and farms to explore, there is so much to do in Sarnia-Lambton during the fall months. After leaving Toronto before ‘rush hour’ hit, we arrived in Lambton County early afternoon. We dropped Morley off with Gramma and Poppa and drove to F.I.N.E. a restaurant in Grand Bend for dinner, just mom and dad (and baby Berkley, of course - she doesn’t stray too far from mom yet). 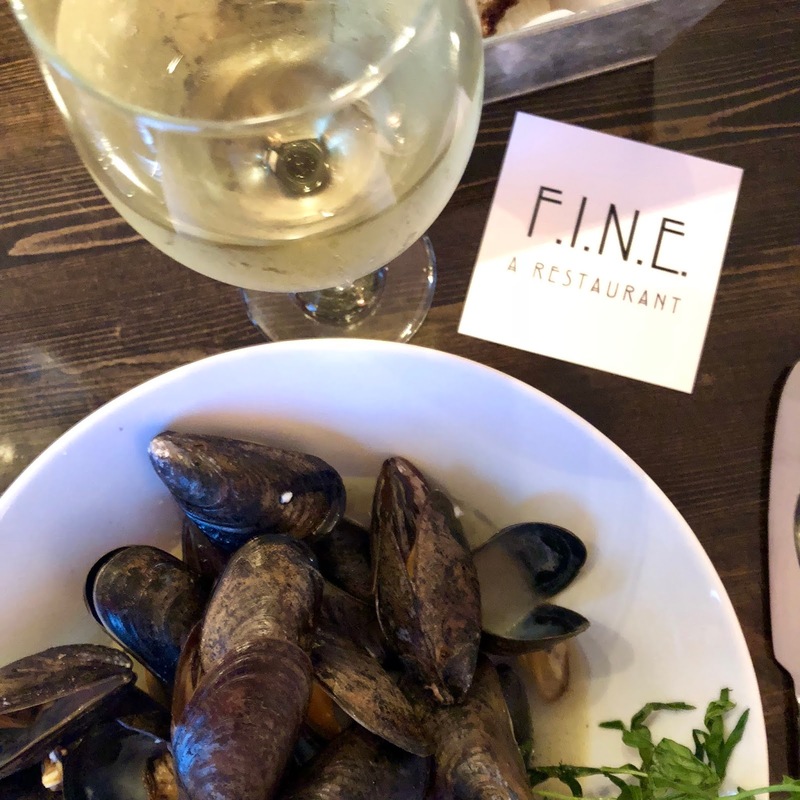 F.I.N.E specializes in regional cuisine with exciting daily specials, utilizing the local wealth of fresh available ingredients. After enjoying the mussels as an appetizer, for the main course I opted for the local pickerel with seasonal veg and Steve had the duck. The peanut butter cheesecake and local wine from Dark Horse, the local winery, were also delicious. We had an amazing dinner experience, and part of that was in thanks to the Grand Bend locals that were also dining. As we had Berkley with us, we were taking turns eating. Pretty typical when we’re out these days, and a cold meal is something we’re now used to. A woman the table next to us asked us if she could hold the babe while we both enjoyed our dinner. Without hesitation, I passed Berkley over. And it didn’t end there - two ladies from the table on the other side of us said they wanted to hold her as well. Safe to say, we enjoyed our meal at F.I.N.E. that much more knowing that Berkley was content. We are very thankful for the complete strangers offering to hold her. Now, I wonder if that would happen in at home in Toronto… (but that’s for another time). We woke up Saturday morning and the sun was shining. We knew it was going to be the perfect day for exploring. 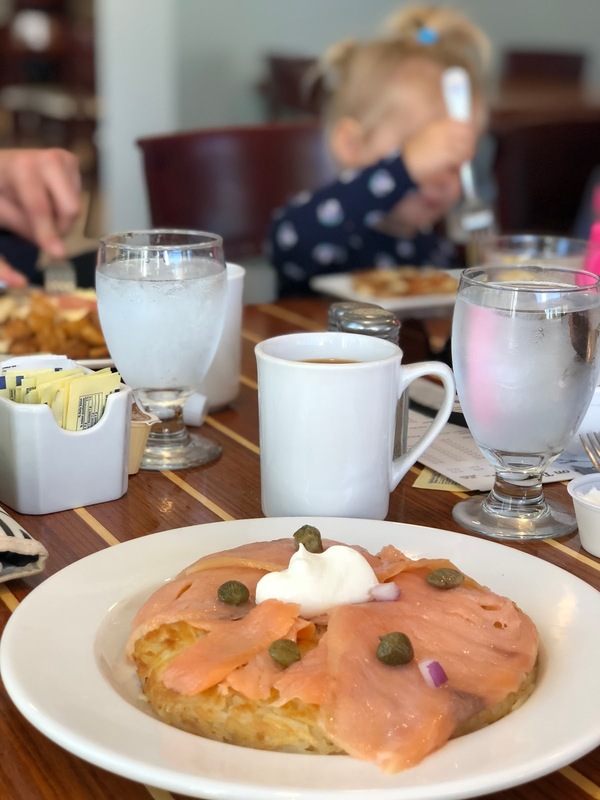 We drove back down Lakeshore Road to Ipperwash Beach, and enjoyed breakfast with the entire family at the Ipperwash Beach Club. 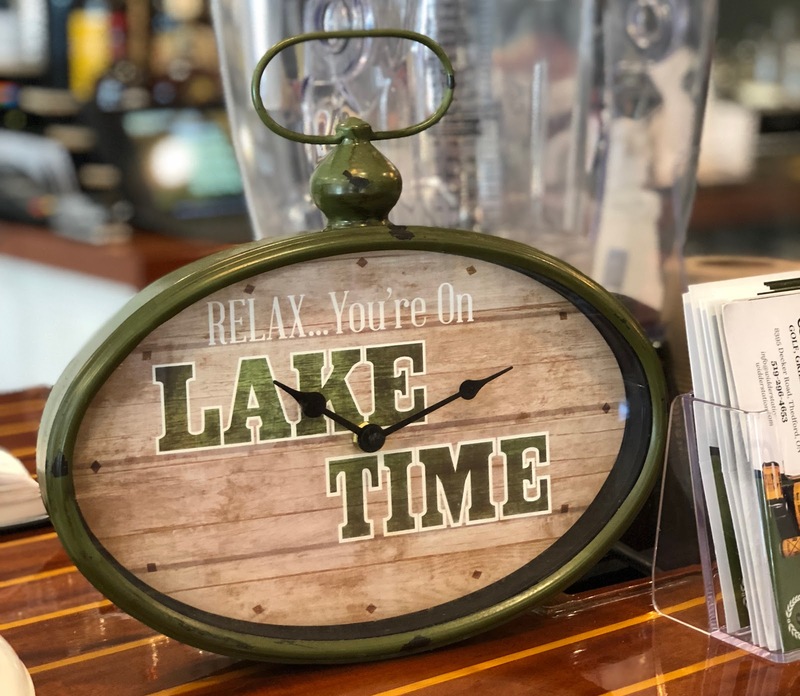 This local dining spot is just steps from the Lake Huron beach access tucked away in this quiet community of Lambton Shores. Breakfast consisted of eggs benedict and smoke salmon roti. 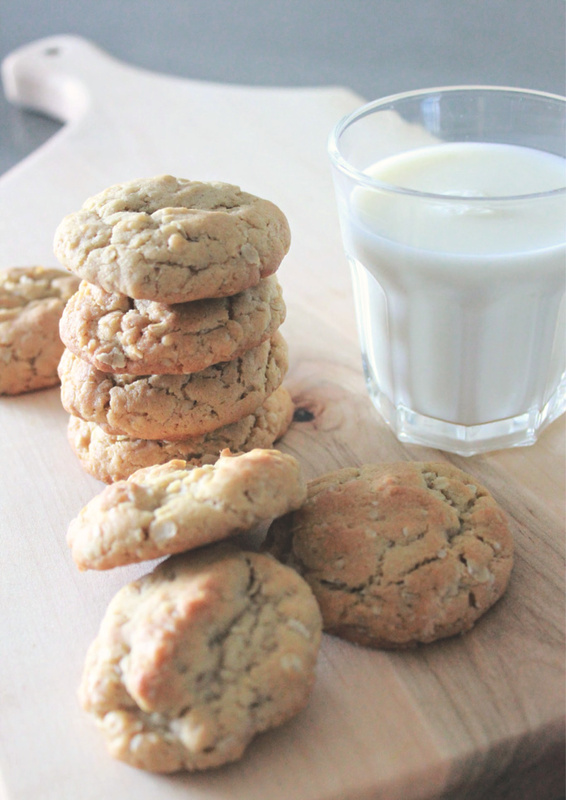 Both delicious! With a large patio, we could tell it would be a popular spot with all of the cottagers during the summer months and vowed to come back. After breakfast, it was time to continue our annual apple picking tradition. This year, we visited Twin Pines Orchards & Cider House, an award-winning cider house located in the countryside. 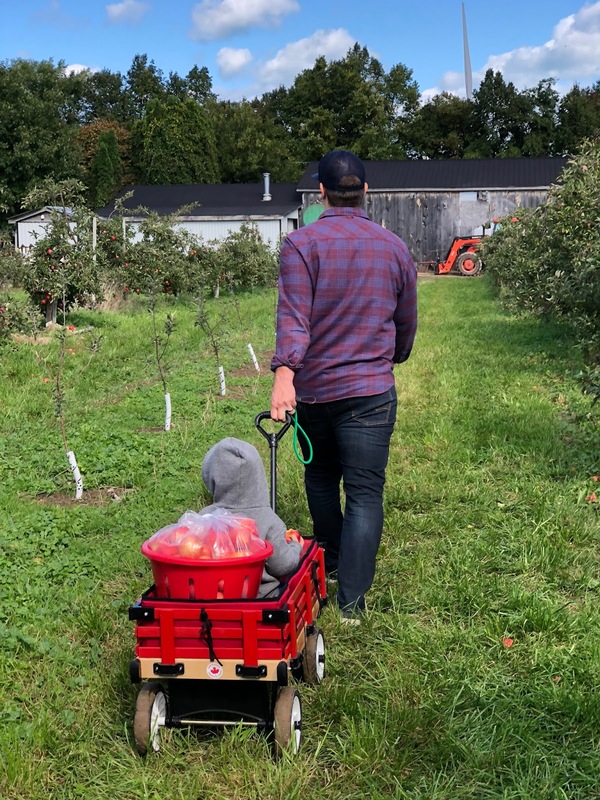 The weather was perfect for hitting the orchard and filling our basket with apples. 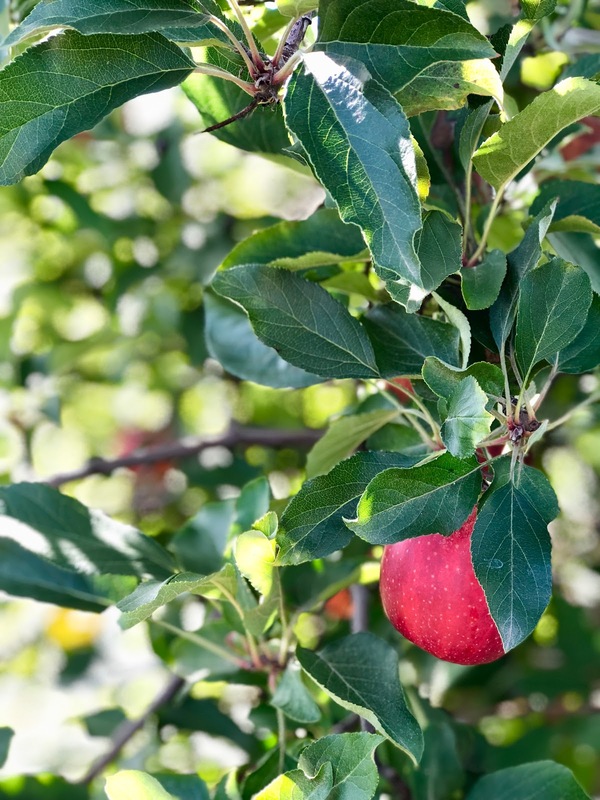 Make note, if you plan to visit, be sure to mark Apple Fest (the last weekend of September) in your calendar. It’s busy, but a great chance to pick your own apples, sample both hard and sweet cider and choose a pumpkin to carve for Halloween. After a quick afternoon siesta back at Gramma and Poppa’s house, it was time for more food! 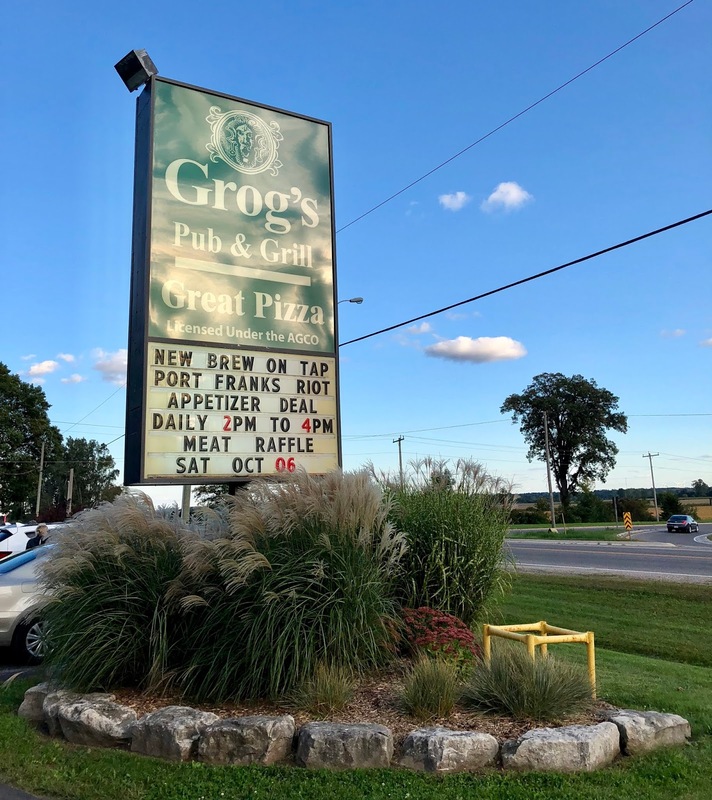 Dinner was at Grog’s Pub and Grill, located on Lakeshore Road in Port Franks, not far from Twin Pines. To be honest, I’ve driven past Grog’s many times but have never actually stopped in. Even with an early dinner at 4:30pm, there wasn’t an empty seat in the house. It is definitely a local hot spot. And after enjoying one of their homemade pizzas, we know why. It was delish! Safe to say, after our fall fun-filled day, it was an early night for everyone. We woke up Sunday to grey skies and rain. Not the ideal day, but that didn’t stop us from making the most of our last day. 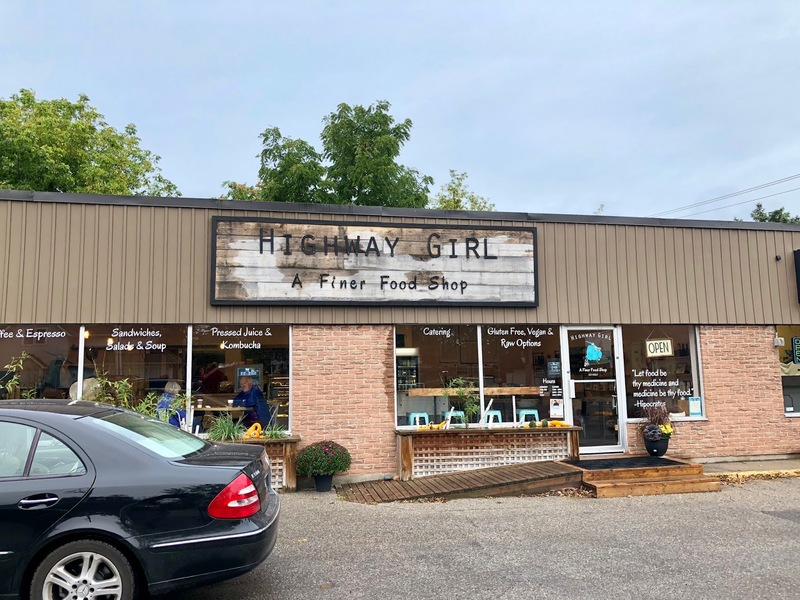 Breakfast was at Highway Girl, a finer food shop in Grand Bend featuring a bakery and cafe with a lovely retro style gift shop with local goods. 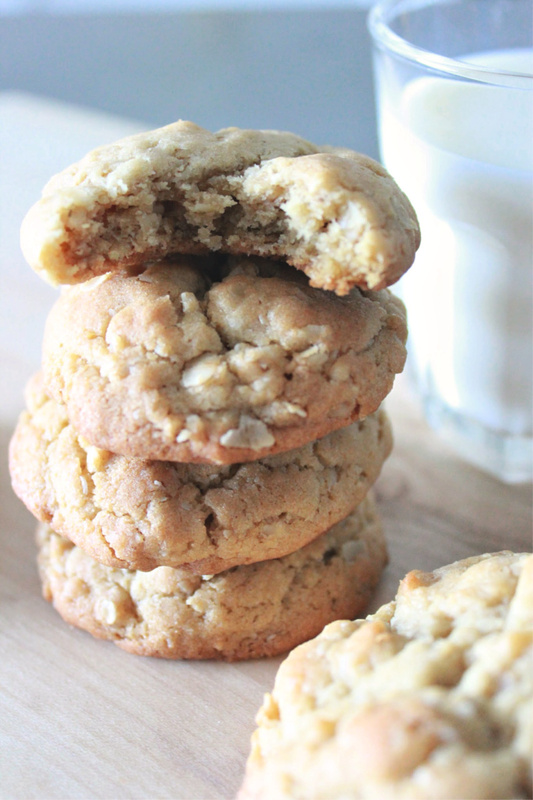 They offer a wide variety of fair trade specialty coffees and teas, fresh baked delights and pressed juices. Their breakfast bomb (tasty dough filled with egg and bacon) is delicious, and toddler-approved. 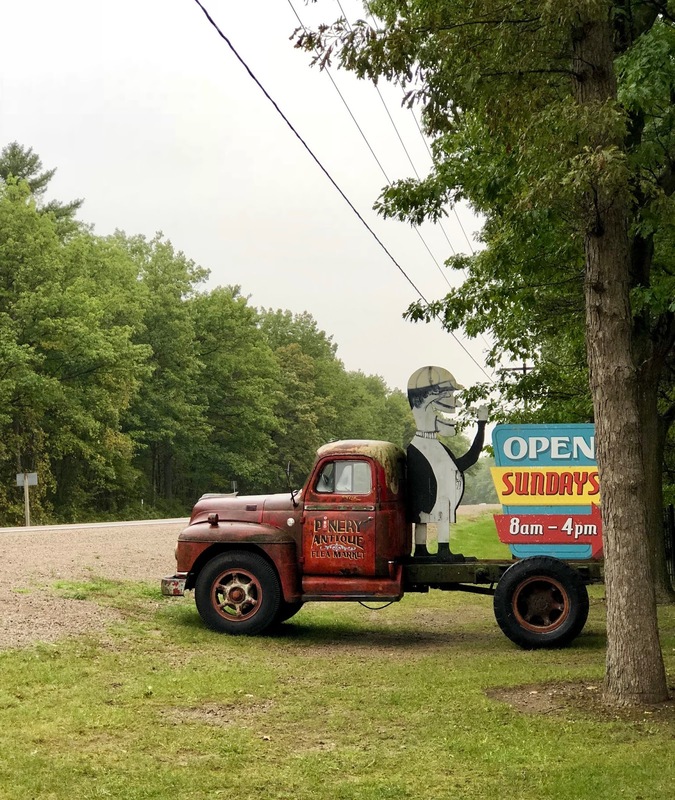 It’s been years since I have visited the Pinery Market, located along Lakeshore Road not far from the entrance to Pinery Provincial Park. Pinery Market is a family-owned market filled with an eclectic blend of vendors, from local produce and meat to toys, antiques and more. The Market runs every Sunday from the beginning of May until Thanksgiving weekend. Be sure to check their website for all of their fun family events, including Barktober Fest and Superhero Sunday. 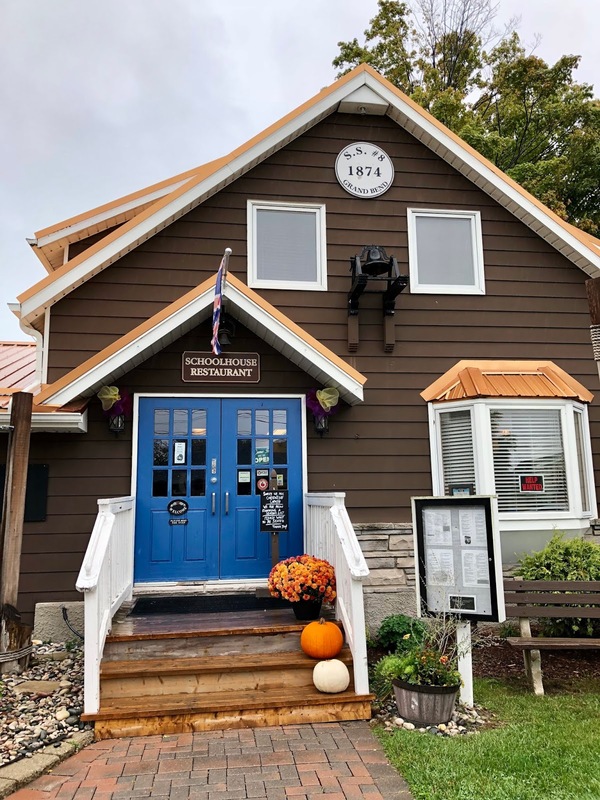 Before heading back to Toronto, we stopped for lunch at the Schoolhouse Restaurant in Grand Bend. Grand Bend Public School opened in 1874 and remained an active school until 1925 when a new school was built. 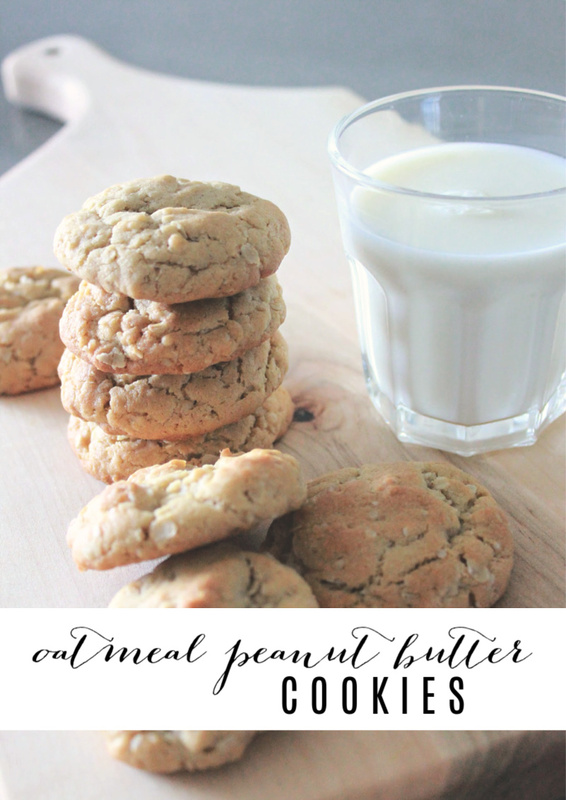 Today, the old schoolhouse is a restaurant filled with history and delicious food. Schoolhouse specializes in from-scratch fare (the biscuits and sausages gravy are seriously delicious), ensuring the finest ingredients make it onto your plate. With full bellies and full hearts from a weekend of family fun, it was time to hit the road and head back to the concrete jungle of Toronto. Every time I visit, I’m quickly reminded why I love this little corner of Ontario so much - good food, good scenery and good company make my heart so happy. 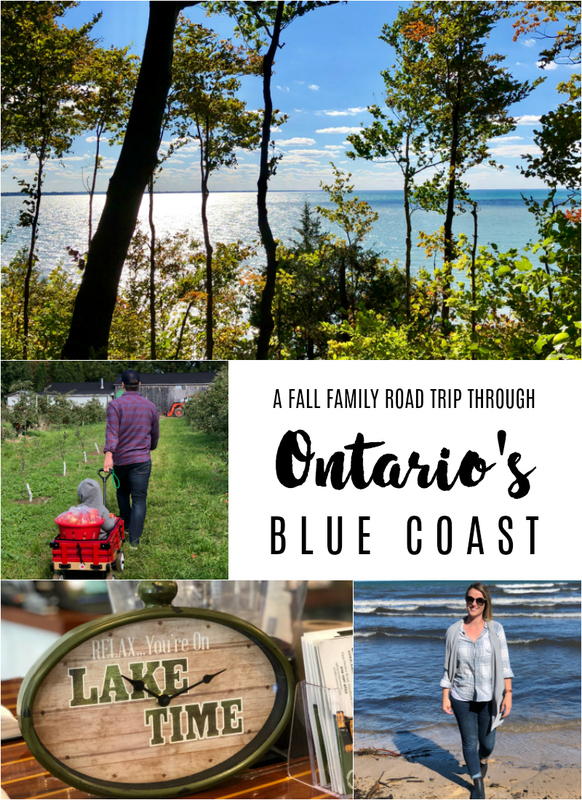 Have you ever visited Ontario's Blue Coast? What is your favourite thing to do there? I'd love to hear! Disclaimer: This trip was in partnership with Ontario's Southwest and Ontario's Blue Coast, however, all opinions are 100% that of To & Fro. Disclaimer: This post is in partnership with Philips Avent. I received products and/or compensation in exchange for this post. All opinions and advice shares are 100% that of To & Fro. Today marks exactly two months since little miss Berkley came into our lives and turned us into a family of four. As we continue to settle in to our new dynamic, I can’t help but reflect on how far we’ve come in the past two months. Despite being our second child, it’s safe to say, we’ve learned a lot. But then again, I don’t think the learning really ever stops with children. For my husband and I, we’ve had to relearn what life is like with a newborn. It’s only been 2 years, 7 months and 27 days since Morley was born, but it’s funny how quickly you forget. You forget how tiny they are, how high pitch their little screams can be and you definitely forget those sleepless nights. We’ve had to relearn it all. Big sister is learning what it truly means to be a big sister - how to be helpful, how to be gentle, how to have patience and how all of the attention is no longer on her. The last one has been a bit of a struggle, but we’re working on it. We’ve also learned that sisters can be oh so different. Like, oh so different. While they may have looked nearly identical at birth, they’re slowing proving to be very different in temperament. In fact, the exact opposite. Morley was a fairly easygoing baby - didn’t cry, slept well and liked her space (as in, you could put her down and she would be quite content). Now, think the exact opposite and that’s little sister Berkley. Dealing with two kids in itself is a new challenge, but now, there are new things that we are experiencing that Morley never threw at us, including the c word… colic. I never truly knew what a colicky baby meant until it started taking over my life. It’s exhausting, it’s frustrating and it’s absolutely heartbreaking not being able to do a damn thing about it. But what I’ve learned from other moms is that no matter how stressful it is, it will pass. Things will get better, things will get easier. 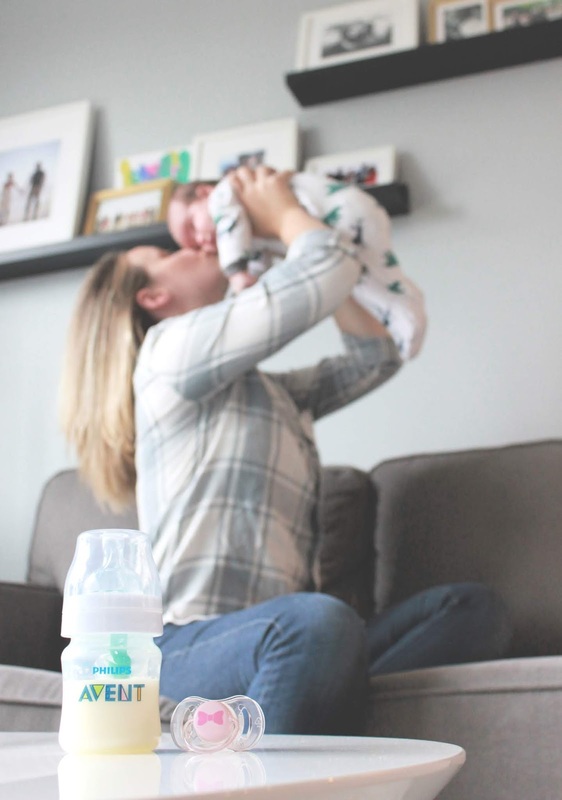 I may have had to navigate many new obstacles on my journey as a mom of a toddler and newborn, but one thing that I have been able to count on is the products I use, thanks to Philips Avent. 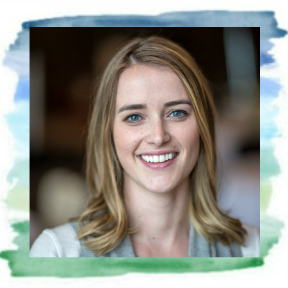 The first 1,000 days are the most important in a baby’s development. Philips Avent has created the #First1000Days journey to provide parents with resources to help them know what to expect every baby step of the way – from newborn to toddler – and feel confident they’re making the right decision for their baby’s future and health, no matter what stage of the journey they’re in. 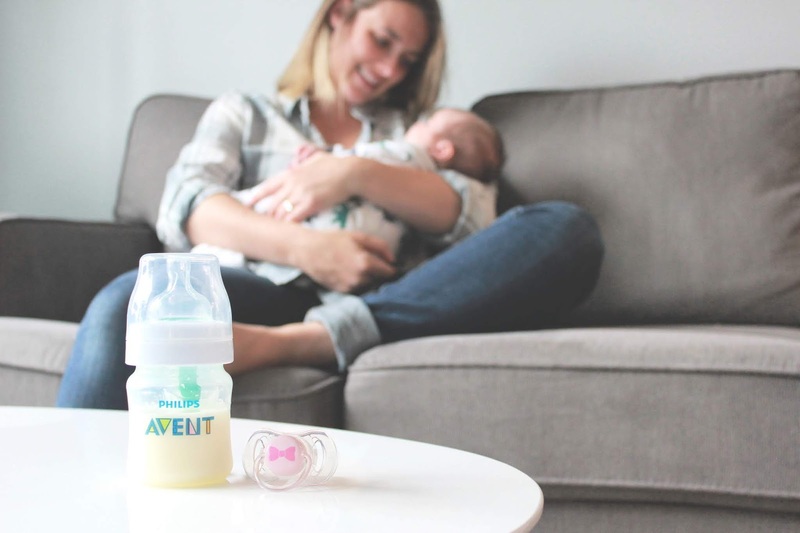 Philips Avent is the number one brand recommended by moms worldwide, including this one right here. 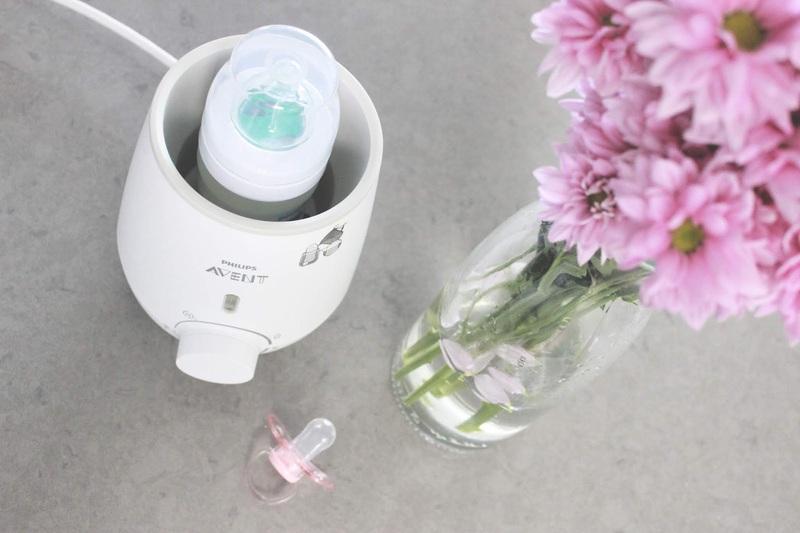 Be better prepared for motherhood, with Philips Avent. What was the biggest thing you learned from having children? I’d love to hear!